The Cascadia subduction zone was hit with 11 earthquakes over the weekend, according to the USGS. The quakes ranged from a magnitude of 2.9 and 4.5 on the Richter scale. 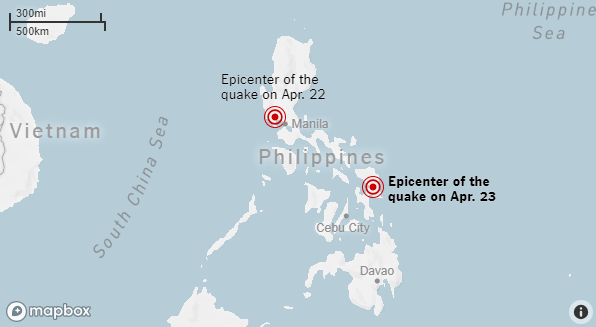 The first quake was felt on Friday at 4:30pm and the last quake happened Sunday at 8 p.m. There have been no reports of damages and or injuries relating to the quakes.